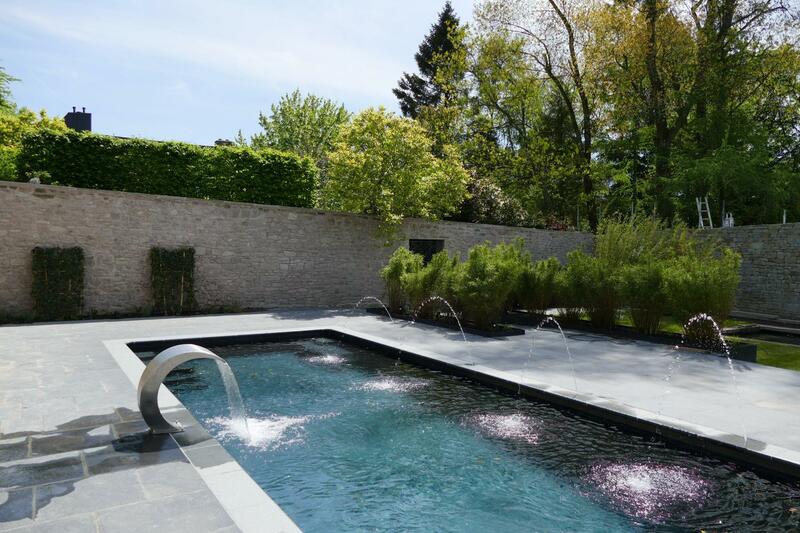 Compass are a team of highly experienced and skilled pool builders specialising in the design, construction and installation of luxury pools in the UK. Our team of professionals have more than 30 years of expertise in designing and installing exceptional solutions for homes nationwide. Utilising our patented carbon-ceramic technology, we can customise our pools so that they are completely perfect for you. If you are interested in having a stunning pool constructed, please get in contact with us today – we would love to bring your project to life. The team at Compass specialises in designing swimming pools that are innovative and stylish as well as functional. We understand the importance of choosing a solution that is suited to your home and call on years of experience of construction and installation to ensure that you are getting the right set up for your property. To learn more about our complete range you can request our latest brochure using the button below, or get in contact with us by calling +44 (0)333 4567 111 where a friendly member of staff will be able to help. Alternatively, you can contact us by emailing info@compass-pools.co.uk and we will get back to you as soon as possible. Our many years of working with homeowners across the country has given us an insight to be able to offer amazing pools that exceed your expectations. The majority of homeowners will only ever have one pool installed at their property in their lifetime – this means it is important that you should get it right and choose a pool that is stunning and adds value to your home. Building a new swimming pool is easier and quicker if it’s a Compass ceramic pool. The pool is delivered as one piece and then installed in place at your home. Find our more about the construction process for a new Compass pool and how quickly it can be up and running at your home in no time. Compass have many years of experience in bringing dream pools to life. With a fantastic reputation for providing a fast, efficient and highly professional service, we have completed installations across the UK, everywhere from Sussex and Kent to Manchester and Scotland. We can complete both indoor and outdoor projects, with the expertise to ensure that you get exactly what you’re looking for. Compass offer a wide range of pool solutions to meet most needs and requests. From plunge pools and natural pools to indoor and outdoor pools, we have a solution that’s right for you. Our ceramic pools are designed to be effective as most pool types required. Find out more about the different types of pools that we design and install. We understand that cost is a huge consideration when it comes to buying a pool but unfortunately this is a very difficult question to answer. This is because there are so many different design options and choices to be made before you can even get an idea of what it might cost. What are the differences between a concrete pool and a ceramic pool? Concrete Swimming Pools are constructed using Gunite or Shotcrete (sprayed concrete) or hollow concrete blocks. They are then tiled or lined. We explore the pros and Cons of this pool construction type and show why ceramic pools are the best option for a long-lasting, easy to maintain pool. How do I go about choosing the best swimming pool builder? Before selecting a swimming pool builder for your pool installation project, shop around. Ask a broad selection of suppliers for price estimates. However, common sense should be the number one factor in your decision. Cost is a necessary consideration, but should not drive your entire decision regarding choosing a pool builder. There are two different types of system for heating pool water, primary and secondary. A primary system is a system where the bather sets the thermostatic controls at their desired temperature (typically between 22°C and 30°C) and a secondary system will raise the water temperature. Compass provided an excellent sales service with James Poore giving a full explanation of the pool construction and installation process. Compass delivered each stage on time and installed the pool quickly and efficiently under the direction of Alex. All team members were knowledgable and professional. Would highly recommend Compass Pools to anyone thinking of getting a pool. I swim every day, there hasn't been a single day I haven't been in since the pool was finished. My wife loves to see the grandchildren in. We have it heated to 30 degree all year round, there is nothing like Christmas in the pool! The multi coloured lights just finish it off perfectly. Our garden has truly become an extra room. The guys couldn't have been more helpful or polite with an efficient build. I am more than happy to show any customers the pool or give references. We couldn't be happier with the service we received from all the team. Right from Sheila in sales on day 1 through to John and Glenn on site. Now we have a pool the boys are in it in all weather and it gets them off the Xbox! They have used the pool every day since May-be it after school or early in the morning and we both use it to exercise whenever we have a spare half an hour.That alone makes it more than worth it.